Officials found significant problems with the durability of the concrete used in the largest transportation project in the D.C. area. Project leaders identified 1,750 panels produced by Universal Concrete Products of Stowe, Pennsylvania, as areas of concern. More than 1,000 sections of concrete will need significant waterproofing every 10 years. The company that supplied faulty concrete to the second phase of the $2.7 billion Metro Silver Line project is still working on the project. The federal government says the Pennsylvania-based company knowingly supplied faulty concrete to the project. Its concrete had a water-to-cement ratio that was off and didn’t meet durability specifications. One of the main issues with the concrete in the station under construction is that a lot of it is being built right next to busy roads like the Dulles Toll Road. The salt and that water spray that kicks up from the road can get inside the concrete. There also was a question about the strength of the stone that was actually used in the Silver Line, and project leaders say testing has showed the rock is strong enough. 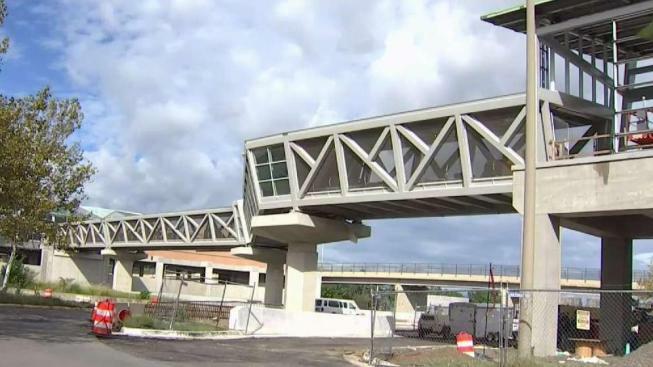 The next section of the Silver Line is set to open in 2020, but more than 1,000 sections of concrete will need significant waterproofing every 10 years.